100% Trophy Guide to Dragon Quest XI, we’ll show you all the tasks and collectibles! Play 100% Shadow of the Tomb Raider! In our Trophy Guide you will find all the puzzle solutions, collectibles and more! V Rally 4, trophies walkthrough! We show you every Trophy and alle Tasks. Play 100% and get the Platinum Trophy. Play 100% The Quiet Man, complete all Chapters! In our guide you will find all the trophies for the game. Play 100% Fall of Light, find all Shrines, Fragments of Luce and all other collectibles! In our guide you will find all the trophies for the game. We show you the latest Rocket League trophies for the PS4! All Club Update trophies at a glance. Play 100% Naruto to Boruto: Shinobi Striker, find all scrolls and win every battle! In our guide you will find all the trophies for the game. Play 100% Phantom Doctrine, find all letters, cat idols and all other collectibles! In our guide you will find all the trophies for the game. Play 100% Strange Brigade, find all letters, cat idols and all other collectibles! In our guide you will find all the trophies for the game. Unlock the Platinum Trophy, play 100% Yakuza Kiwami 2. In our guide you will find all the trophies and their tasks. All NBA LIVE 19 trophies in the guide, we have all the tasks and conditions to play 100% and unlock Platinum. 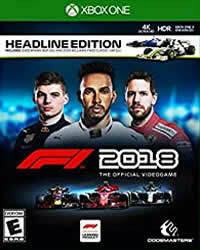 We help you complete F1 2018 with 100%, in this guide we explain the success The 1.6% club.